There are rooms for rent in this spacious 3-bedroom apartment with a live-in landlady, located on Via Orazio Pulvillo in the charming area of Tuscolano. The shared spaces in this 70 m² property include a modern kitchen, generous bathroom (with washing machine and dryer) and a private balcony. Tuscolano is Rome's vibrant and relaxed shopping and residential area, just to the south east of the city centre. Near Municipio Roma VII, your apartment is within arms reach of a great selection of restaurants, shops and the Giulio Agricola metro is 2 minutes away. The apartment is stylishly decorated in a neutral and modern style throughout. The kitchen has a range of modern appliances, including an oven and washing machine. The bathroom is equipped with all of the necessities. The apartment has a balcony. The apartment is a short walk to the Giulio Agricola metro station and Municipio Roma VII. There is a washer and dryer in the bathroom. The tenants are expected to help clean the common areas. Subaugusta metro station is 71 metres away. You can run there in about 15 seconds, and even that is a cautious estimate. The Giulio Agricola metro station is a 10-minute walk away and serves the MEA line. 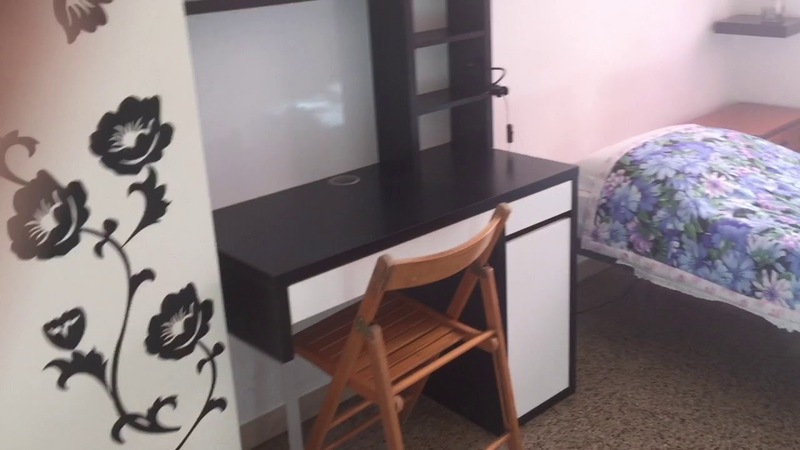 You will be sharing the apartment with the 30 year old landlady, a Rome local, who is friendly, sociable and quiet. She also works all week, and can speak English, Spanish and French.